Convenience is a wonderful thing that makes things easier to use or easier to do. If you've been reaching down and locking out your fork like a dope for years, it's now time to take the easier route. 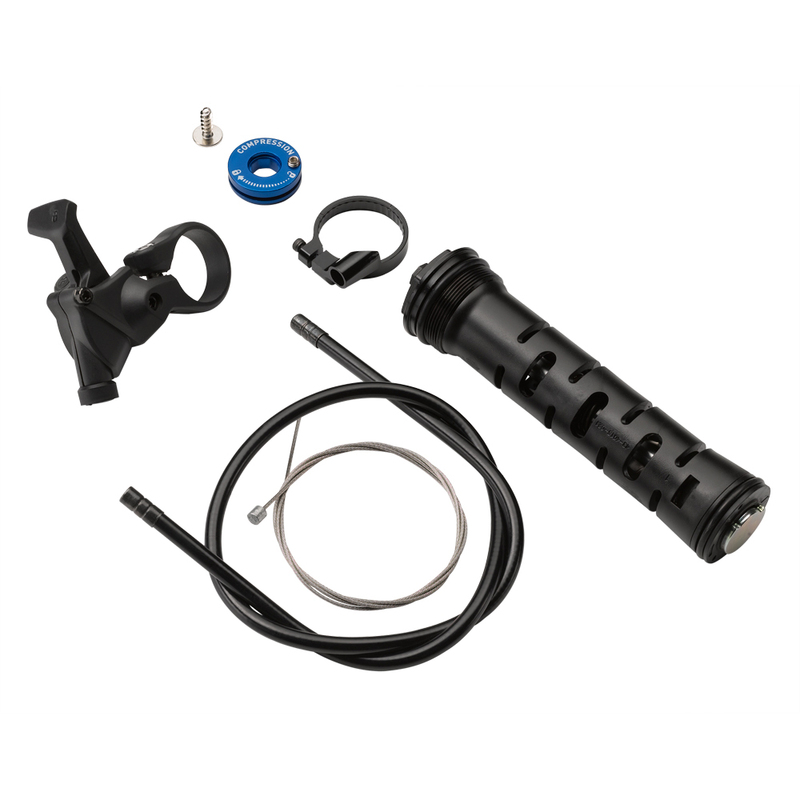 The RockShox Remote Upgrade Kit upgrades your RockShox fork from a crown adjust to a remote adjust. Now your hands never have to leave the handlebars and you can laugh all the way to the top of the hill with your locked out fork. The upgrade kit includes the PopLoc remote lever and a compression damper. So take the easy route, get a RockShox Remote Upgrade Kit and stop leaning over to lock out your suspension.